Show the beginner how you do things! What size line do you use? Which hook is right for what you’re doing? How do you tie your knots, and which ones do you use? Fishing for beginners isn’t easy so let them absorb as much as they can, just don’t over do it. Anyone can fish at any age. You’re never too old or too young to start. Fishing is what I love to do. It doesn’t fit everybody, but get out there! The outdoors is good for the soul. 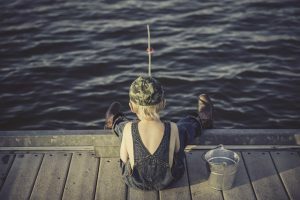 When introducing a child or a beginner to fishing, plan short outings. My kid’s attention span doesn’t last long, so I try to go where there are other activities besides fishing. The beach or lagoon work well for us. Remember it’s about the beginner. I always want to fish, so it’s hard for me to teach. A little patience will go a long way, and it won’t be long before they catch on anyway. I like your article – itâ€™s very well written and easy to read due to the well thought layout. I haven’t done fishing before because where I live we do not have river or lake to go for fishing but I would love to do it and that’s the reason I like your article because it bring a desire in me to go for fishing. I wish you best of luck. God bless you. I can’t even imagine living somewhere with no fishing. I hope you get to go sooner than later. Best of wishes. Geoff. Nice little page. Brings back a lot of memories for me when I was a kid. My dad taught me and my brother the basics and it kinda grew from there. I am a very keen sea fisherman and deep sea…..Love it!! It will be something I will be teaching my kids also when they get a little older. Great stuff. Thanks for the feedback Carl. It’s definitely all about the kids. My cousin is a fishing addict. I’ve tried myself to fish but it has turned out that i wasn’t a natural. It needs a lot of patience and time to become a good fisher, i have understood that well. But my cousin has done a great job and he’s still improving. I verify your quote “don’t expect much fishing time at first”. At first you may not be able to catch a lot. But time and patience will definetely pay off. Yes it’s true Tyler. Fishing is a lot like Wealthy Affiliates. Hard work and patience pays off. This looks like a very good beginning. You have some great subject matter to put in. As a beginner fisherman myself, I would enjoy coming back to your site when it gets filled in a bit more. Best wishes for your future here at WA. I was wondering where you fish and what is your favorite fish to go for. Do you do mostly ocean fishing, as in the pictures, or do you also like fresh water sport? Thanks for the comment Barry. I live in southern California on the coast, so I mostly fish the ocean. I was however, raised fishing fresh water and later became a decent fly fisherman. I love going for tuna, but big yellowtail can be tough. Best of wishes, Geoff. l started fishing before i reached 10 years old, always followed my brother when he went out fishing and soon l was hooked. with time l stopped because fishing was no more lady like. Now l feel it`s time to start fishing again and was looking for info on fishing for beginners when l got to your site. You have explained things so well in an easy to understand way. l think for anyone new to fishing, the equipment makes the mst difference followed by dissapointment if they do not catch any fish, thanks for explaining all this. As said, will be going fishing with friends this summer,you have really put me at ease with all the info. Hello Roamy. Thanks for speaking up. Being a newcomer at anything can be a scary proposition. Just the smallest amount of knowledge has the power to ease our fears. It sounds like you were able to find that here, which is awesome. That’s exactly why I started this site in the first place. Remember to have fun, and don’t be afraid to ask for help. Thanks again, Geoff. I can totally relate to not getting much time to fish. When my boys were small I started trying to get them interested in fishing but the waiting for something to bite was just not fast enough for them. 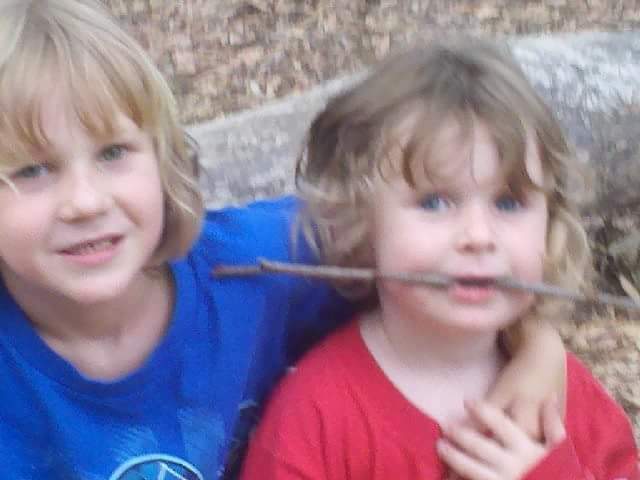 They are now a lot older and they love it now which means more time for me to fish. I don’t live near the Ocean so I haven’t done a lot of deep sea fishing but I plan on doing some when I retire. Great site. That’s cool that your kids like to fish now. Gives you a chance to enjoy it with them. The great ocean is ready and waiting for your retirement. Best of wishes Dale. Geoff. I’ve only went fishing once in my life but I loved it. Some of my friends from college go almost every weekend, it’s as if they’ve become obsessed with it. Their girlfriends gets so annoyed with the weekend trips it’s pretty funny. But I definitely would love to learn and get into it. Seems like a lot of fun and you site has good info on getting started. There’s alot of talk about our spouses, girlfriends, etc. when it comes to fishing. There’s a lot of women out there that like to fish as I learned by growing my Facebook following. But, I’ll stay out of that discussion on any further accounts. Thanks and till next time, Geoff. Hi Jose. I understand about walls, roadblocks, and even mountains in the way. So you feel you’re in some stage of fishing or of your life that’s not conducive to fishing. It shouldn’t ever be that way. Fishing isn’t about impressing anyone. It’s about getting out into nature and enjoying yourself. Let your thoughts be free. It sounds like you worked it out, and if my words helped with that even better. Have fun, and let me know what you learn out there. Thanks, Geoff.